One of my major life motto’s is “I don’t do stress”, which is interesting because I ended up with adrenal fatigue. BUT the big thing I have learnt is that chronic stress appears in many forms, in many ways and you don’t have to be the nervous, anxious worry wart type to end up burnt out. 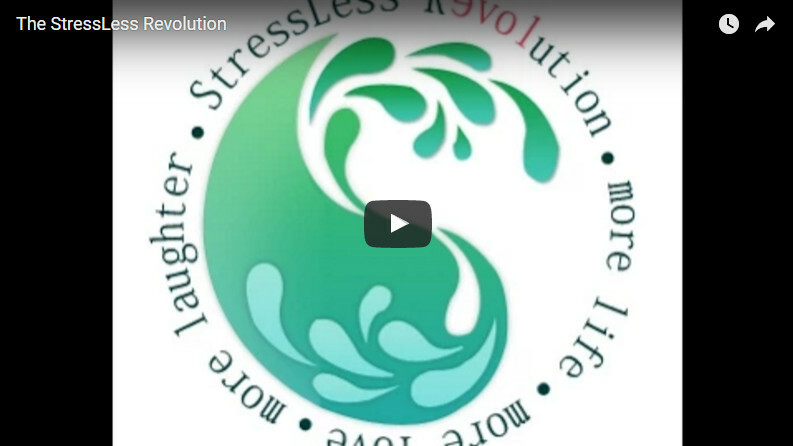 What is the StressLess Revolution? We say enough’s enough to the fast food, fast paced, asap rat race we call life and we pause long enough to see what it is doing to us. Then we consciously lean into some lifestyle changes which will make us more beautiful inside and out. That will replenish every cell in our body and eliminate disease, illness and sickness. That will build our resilience so that we can bounce back from lives big and little knocks a whole lot quicker and easier. Stress levels will reduce and inflammation and toxicity in the body will begin to reside. These changes will also allow life to begin to flow with effortless ease and grace, just like it is supposed to as we begin to take our hands off the wheel and trust in the divine process. It’s a way of life which nurtures and supports the mind, body and spirit. It’s about stripping back all the bad stuff which is literally killing us and making us less than what we should be. Here we take the time to stop and marvel at life. We breathe and exhale and really feel what it feels like to be totally present with ourselves. Then we begin to give a little love back to ourselves by being kinder and gentler. We nourish, rather than deplete and enrich our lives with the kind of things that make our bodies and our souls squeal with delight. It’s not about doing more, having more, and wanting more, it about doing it differently, appreciating the things you do have and wanting the things that make you feel good naturally, all the while, still having your big dreams and goals and finer things in life. It’s funny but as you slow down, these things come to you faster and more organically. It’s definitely a much nicer place to manifest from, trust me. It’s time to give back to yourself, it’s time to feel so tingly alive it’s scary. It’s time to have the energy, passion and exuberance you were designed to have. Most of all, it’s time to love yourself and this amazing planet we call home. So if this sounds like something you want to be a part of, then make a comment or ask me any questions you like and lets all start a StressLess revolution in our own backyard.